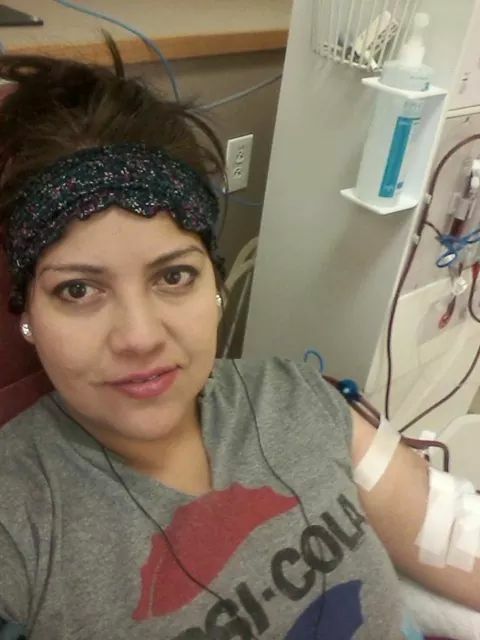 Maylin’s life was turned upside down when at the young age of 38 she suddenly learned that she was in end-stage renal failure and needed a kidney transplant. Maylin had been misdiagnosed for over a year; by the time she got the correct diagnosis, her only move forward was to immediately begin dialysis and hope and pray for a transplant. Before her diagnosis, Maylin had just completed her dental hygienist course and was looking forward to a new career. She became so ill she was unable to complete her exam for licensing. She has been on dialysis waiting for a life-saving kidney transplant for four years, but she is running out of time. She continues to work every day the only job that fits into her dialysis schedule—a bus monitor for Monroe County Community School Corporation. She is pure sunshine to the special needs children and families she serves. To make matters worse, Maylin recently discovered that she had been taken off the transplant list at Indiana University Health Transplant until she raises $8-$10,000. She has a potential kidney donor, but that donor is on hold because Maylin needs to have $3,000 in a restricted fund before potential donors can be tested and another $5,000 to $7,000 before she can have the surgery. Since Maylin struggles each month to continue to pay her mortgage and monthly bills, she is not able to put any money into savings and her family isn’t able to help. Her elder son, Kevin, is finishing his B.S. at UCLA, and her younger son Michael has just recently completed a two-year course at IVY tech. Even with insurance, Maylin will have many out of pocket medical expenses not the least of which is the costly anti-rejection medications that Maylin will have to take for the rest of her life. To help with the financial burden of Maylin’s uninsured expenses, a fundraising campaign in her honor has been established with HelpHOPELive, a trusted nonprofit organization that has been providing community-based fundraising guidance to patients and their families for more than 30 years. All donations are tax-deductible, are held by HelpHOPELive in the Great Lakes Transplant Fund, and are administered by HelpHOPELive for transplant-related expenses only. Please consider making a contribution and giving Maylin hope for the future. If we all work together, we can give Maylin hope of a new lease on life and help her realize her dream of a career in dental hygiene. Thank you for your support. Hello to all Wonderful people how give me the opportunity to be healthy, for your support,, to my Donor Glenda, Sister Shirley Douglas, . to all the players, I can stop to say thank you, thank you,, right Now, I can say, my Kidney working Good, I'm back to work (part time) school,now help it, few hour in hospitals volunteer with patient with kidneys failure , I so Grateful to God , and for all your support, stay in my heart, !! God bless you All.. !! God bless you Tia. Hopefully the donation I made from the Chili fundraiser that I did at work makes a difference. Love you and will keep praying for you. Today I feeling so graceful. ...firts for all support all persona's give me and push the bottom in your computer, or cell to. Donate. .!!! Today after. My. Dialysis I going to reunions with my donor and best friend. Glenda to prepared the Chilli for tomorrow and my dear Friend. Angel. Shirley Douglas. This 2 women's are so wonderfulL...!!! Thanks to all again. .!!! Gracias a todos..
Maylin, me alegra saber que ya pronto te van a poner de nuevo en la lista de espera. Seguiremos apoyandote porque sos un ejemplo. Gracias Bendiciones! Gracias a todos de corazon.!! Thanks to all from the bottom my heart. ..!! Con amor para ti. Recibimos que la cuenta recauda miles y miles de $ pero tambien confesamos que todo saldra bien. Desde ya te declaramos completamente sana. Maylin, yo se que vas a salir victoriosa de esta prueba. Yo estoy orando por vos y ahi deje mi granito de arena. Voy a donar un poco mas antes del 7 de Febrero. Maylin vos sos una campeona, si te dieron esta prueba es por que la podes pasar. Uhh si yo ni lo dudo! Semejante chavala tan bonita y tan valiente! !